The biggest challenge facing livelihoods programs is that many host countries do not allow refugees to work legally, despite international conventions protecting access to work. And even if refugees are allowed to hold jobs, they may find local opportunities are limited or employers are unwilling to hire them. Critics also argue that the jobs offered are often low-paying and that the governments of developed countries promote them in hopes that refugees will stay in their initial countries of asylum rather than migrate elsewhere, such as to Europe. 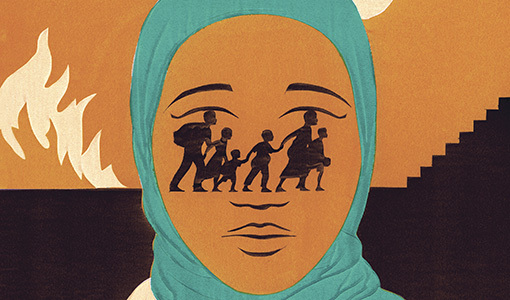 While these efforts provide individual jobs or start-up capital for some refugees, it isn’t clear that they make a significant difference for them, or that these programs can expand to reach the huge numbers of refugees who need income. In a 2016 report Jacobsen co-wrote for the Migration Policy Institute, she argues that the success of livelihood initiatives is too often measured by how many beneficiaries they serve rather than by their actual impact on refugees’ lives. Jacobsen called for a much more rigorous assessment of how effective the programs are, how well suited they are to the market context, and what problems they create. She said we need to know the proportion of refugees they help in a particular context, and which refugees are unable to access these programs. thirty-nine-year-old who fled fighting in the Democratic Republic of the Congo that killed his mother and has lived in Kenya since 2010. (The names of refugees in this story have been changed for their protection.) A former clothing salesman, Henri started a business in Nairobi selling packages of chopped vegetables door-to-door in his poor neighborhood. At first, he and his wife, a fellow refugee from Congo, could only afford five packages’ worth of vegetables per day. 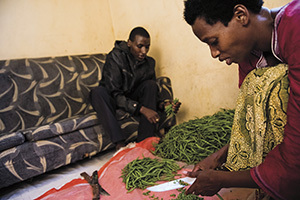 In 2013, Henri connected with RefugePoint, which—along with food and medical care—provided him with training and cash to increase production. One month after graduation from the program, he was selling fifty packs of vegetables per day. Another refugee from Congo, fifty-eight-year-old Michael, had to leave his sewing machinery behind when he fled more than a decade ago. 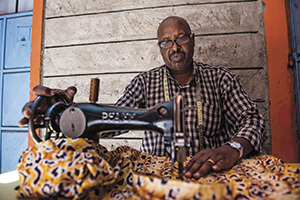 For years, the tailor rented a machine from a Nairobi woman so he could make shirts and dresses, but it was never enough to provide well for his family of eight. With the aid of RefugePoint, which helped him pay school fees for his children as well as improve his business, he has been able to buy three sewing machines. “Before, I was living in a single room and not able to buy food,” he said through an interpreter. Two months after graduating from the RefugePoint program, he was renting several rooms for his family and was clearing a profit of about $25 a week, enough to cover food and rent. With such promising results, RefugePoint founder Chanoff hopes the organization’s pilot program can scale up and influence humanitarian response more broadly, but acknowledges that will require more funding. And that’s one of the biggest challenges threatening livelihoods programming: insufficient or unpredictable funds. When money is limited, Jacobsen said, more pressing basic needs are—and should be—prioritized over long-term strategies to help refugees.